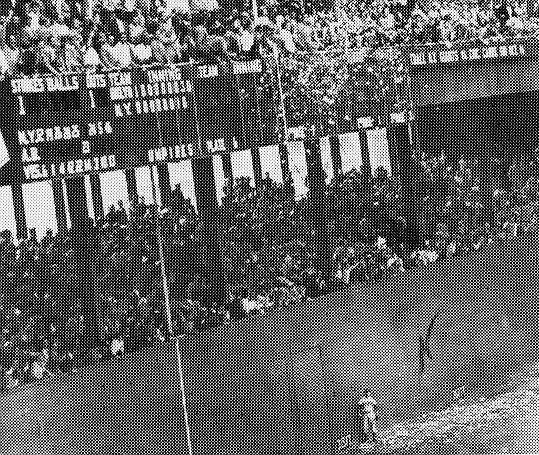 "Handy" Andy Pafko, who was immortalized as he looked up helplessly at Bobby Thomson's home run off of Ralph Branca at the Polo Grounds on October 3, 1951, passed away on October 8, 2013, in Stevensville, Michigan. He was 92. His 1952 Topps baseball card remains one of the most collected baseball cards in history, as it was the first card in Topps' inaugural set, and was often damaged by rubber bands that held children's card collections together. 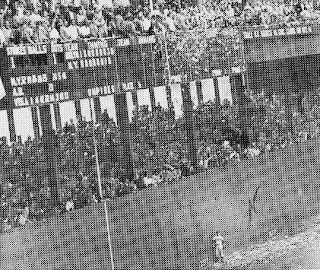 He was also prominently featured in Roger Kahn's classic, "The Boys of Summer," yet the four-time All-Star was hesitant to put himself in the same echelon as his fellow outfielders Carl Furillo and Duke Snider. "I wasn't in Brooklyn long enough," he said. "I don't rate being with Snider and Furillo. I wasn't in that class." 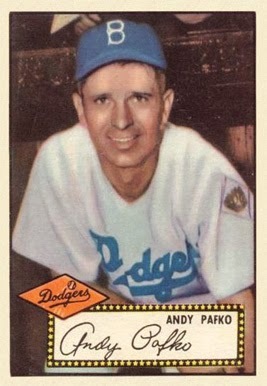 Pafko more than held his own, playing 17 seasons from 1943-1959, blasting 213 home runs and compiling a lifetime .285 batting average for the Chicago Cubs, Brooklyn Dodgers, and Milwaukee Braves. In his later years, he gained notoriety as one of the last two living players as a member of the 1945 Chicago Cubs, the last team in franchise history to make the World Series.